In the Beach Offices plaza across from Quail Hollow on Anastasia Island. 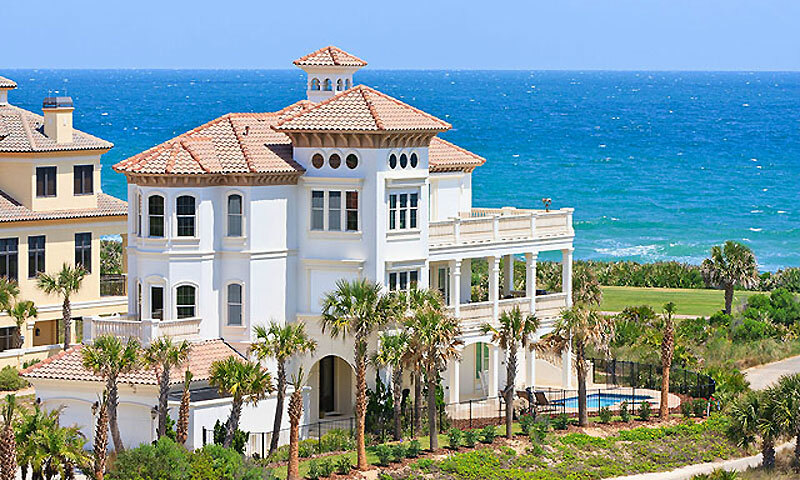 Located on A1A South in St. Augustine Beach, VTrips has over 400 vacation rental properties and is dedicated to helping guests find the right one for a truly unforgettable vacation. From oceanfront rental condominiums, beachfront homes and cottages, to historic downtown locations, VTrips has it all. They also provide a complete interactive guide to finding the ideal rental, where visitors can choose from options like pet-friendly rentals, beach front, ocean view, or with or without a pool. Each listing is on the VTrips website, complete with photos, descriptions of the property, and ratings from previous guests. This rental agency offers all styles and sizes, from one bedroom to five bedroom rentals, perfect for family reunions or special gatherings. Rentals with heated pools, breathtaking views of the Atlantic Ocean, wireless internet access, and private boardwalks are just some of the amenities offered by VTrips. Each vacation condo or house is carefully maintained by the owner, Steve Milo, and his wife. 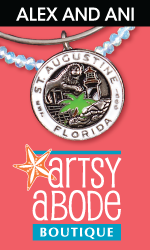 They are excited to work with every guest in order to ensure an excellent stay in St. Augustine. VTrips is located in the Beach Offices plaza across from Quail Hollow on Anastasia Island. We stayed a month at Hibiscus condos. Our condo location was great. We had a ground floor unit, but that framed the ocean by palms and shrubs. Our unit was clean and well supplied with cooking and eating utensils. We arrived after hours and were able to get keys from the lock box. The only issues we had were a broken shade and loose commode in the guest bathroom. A maintenance employee arrived promptly at our call, tightened the commode and ordered a new blind. Hibiscus is ideally situated to the beach, to St. Augustine and to Publix and a fresh seafood store. We enjoyed our stay very much. Lovely vacation with the husband & dogs! Great location, nice customer service! Dolphin Dunes was not our originally planned rental but we were SO glad we ended up here! Shakiela at Vacation Rental Pros went out of her way to take care of us when our first rental went sour, she sent us to this house instead and it was heaven! Exactly what we were looking for on our vacation/house hunting stay in Jacksonville. The entire house was clean, obviously well cared for, odor free and had everything we needed. We enjoyed being right on the beach, watching and listening to the waves, having our own beach access, very few people going by, lots of space to spread out and it still felt cozy. Perfect location between Jax and St. Augustine, didn't take long to get anywhere we needed to go. For swimming we did opt to drive to St. Augustine Beach instead, the beach here at the house was just too steep and waves too big for our kids. But it was not a problem at all. We took a couple of the boogie boards with us and had a blast. If anything as far as improvements...a blender would be nice for the kitchen. Otherwise, fantastic and once we are living in Jax this will be a place we recommend to visiting friends and family. Thank you for everything! 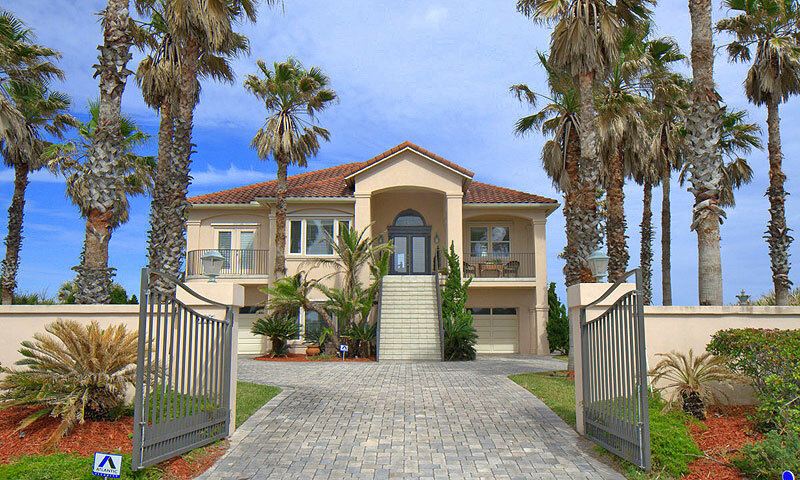 We highly recommend Pelican Landing! Fantastic rental experience with VRP! My vacation rental experience was fantastic. The people working for the company were very helpful and made everything very easy. The rental property was everything you said it was and then some. We loved the private hot tub, fire pit and pool. It was very clean which is very important to me. Loved the decor. We would definitely rent this property again. We went to alot of different restaurants. Loved the Italian restaurant on Estero drive. Lin's chinese restaurant was delicious. The ice cream place on Estero was fun and yummy. We also enjoyed A taste of heaven? The breakfast place. The shopping area was fantastic. Everything about this vacation was wonderful. We just returned from our spring break at Villa Del Mar and CANNOT say enough about what a perfect choice it was for us. The villa was beyond our expectations and its location to the beach was exactly what we wanted. Access to the grocery store, restaurants and Times Square shopping were also extremely convenient. The villa itself was absolutely gorgeous and had everything you need to make you feel at home. We did bring our own Keurig k-cup coffee maker from home so we could enjoy our normal morning cup of joe and discovered that this was not necessary because there is one already in the villa! We were fortunate enough to meet the owner who happened to be staying next door when we arrived and thoroughly enjoyed meeting her. Very nice and extremely interested in making sure our stay at Villa Del Mar was all we expected and more. The only thing to remember to bring for the beach are your own beach towels. Everything else you could ever need is already there (bocce ball, corn hole, frisbees, paddle ball, sand buckets, fish net, skim boards, boogie board, beach coolers, beach umbrellas, several beach chairs, air mattresses, noodles, etc. For the interior there is plenty of linens, blankets and towels. We packed extra linens and did not need to. We enjoyed our stay so much we hope to do it again next year! Ocean Harbor 5 condo on Vilano beach was an excellent accommodation for our family vacation. This was a multi-family get away, and I was nervous about how the other families would like this place since I was the person making all the arraignments. Well, they loved it! Vilano Beach provided, bicycle routes, shell hunting, and restaurants. We walked and biked over the Francis and Mary Usina Bridge, which is part of the A1A Scenic & Historic Coastal Byway, which connects Vilano Beach to the mainland. This bridge is practically right across the street from the condo, and only 2 miles from old downtown St. Augustine, and we were able to be anywhere in just a few minutes. The condo complex sits on the beach, and we had a nicely kept private walk to use. We cooked breakfast every AM, and a few dinners during our stay, and the grocery store right across the street from the condo was so very convenient.